Sick Days. Work Conflicts. New Sibling Arrivals. Travel. Mental Health days. Cold, Rainy, Bad Weather Days. Sooner or later, getting your child to school on time may become an occasional challenge. And we'd like to help. ShuttleBee connects families and organizations with well vetted adults who canprovide transportation for their children. We offer shuttle routes by minivan, supervised routes by public transit and walking routes. 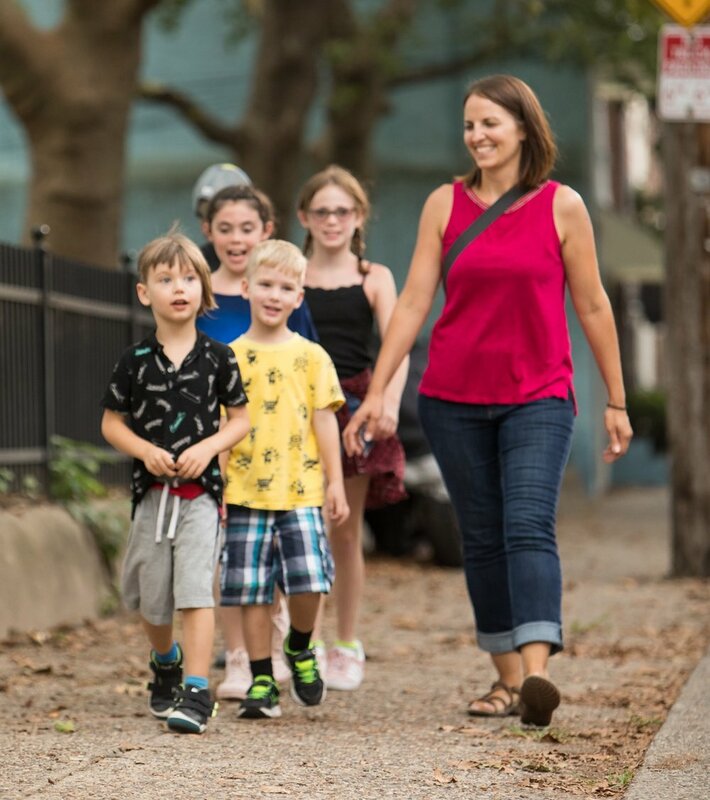 Families at Meredith can sign up for occasional service -- when scheduled 24 hours in advance -- for walking routes to school. Our current map is below, and we're serving first graders. Please reach out to talk more about logistics and to schedule a trial pickup. This is a walking route, and we'll make every effort to maintain the walk, unless it's not safe to do so or unreasonably seasonal. In cases where weather might make a walk difficult, we'll meet at a local coffee shop near Meredith starting at 7:30AM. Family Annual Fee for guaranteed availability (after the second pickup, scheduled 24 hours in advance): $199/year.